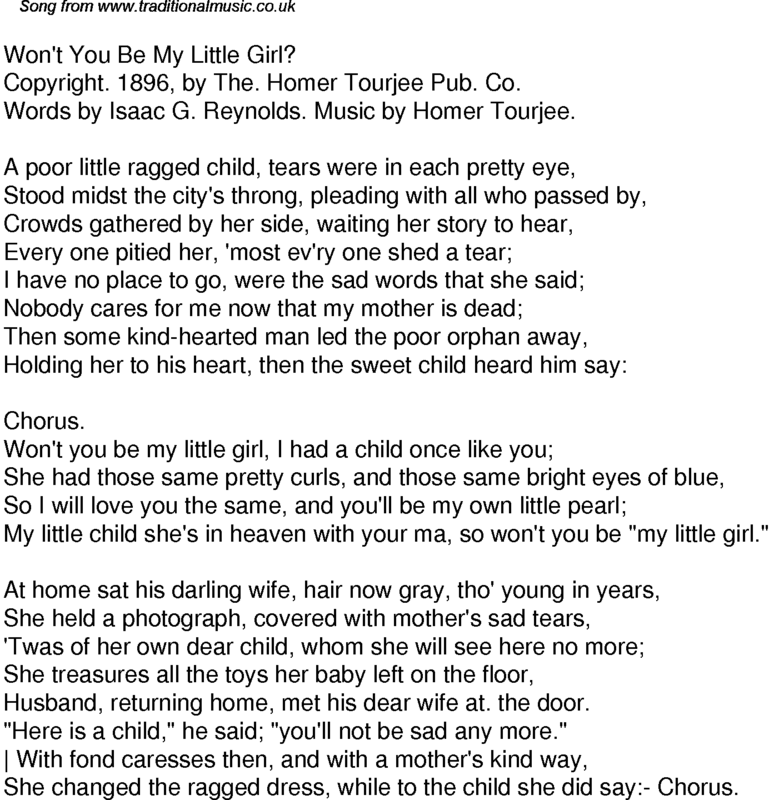 Won't You Be My Little Girl? Copyright. 1896, by The. Homer Tourjee Pub. Co. Words by Isaac G. Reynolds. Music by Homer Tourjee. My little child she's in heaven with your ma, so won't you be "my little girl." Husband, returning home, met his dear wife at. the door. "Here is a child," he said; "you'll not be sad any more." She changed the ragged dress, while to the child she did say:- Chorus.